Coldwood Interactive's Unravel Two is one of 2018's finest platformers on PS4, thanks to smart gameplay changes from Yarny's first outing. When you think about it, it is amazing how resounding Martin Sahlin’s homemade doll Yarny is — especially to an ever-maturing crowd of gamers. 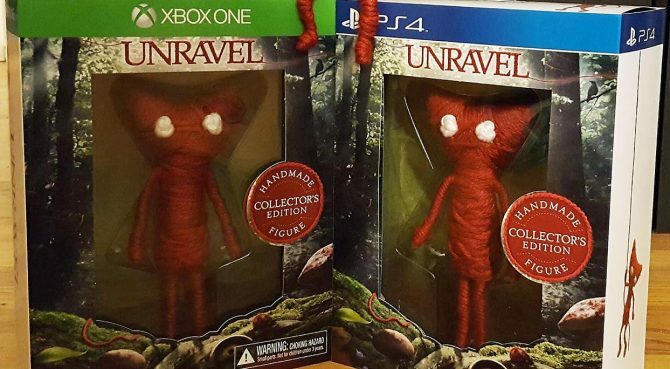 Yet ever since the Swedish developer revealed his original project at EA’s 2015 Press Conference, Unravel and Yarny have held a special place in the hearts of indie aficionados. Imagine the surprise when Unravel Two became one of the (few) games to stealth launch during E3 2018! While many people had qualms about EA’s E3 performance, Unravel Two’s reveal and release was without a doubt a highlight. Now here we are — more than a month out of E3 — and much of the buzz and excitement has retreated, which is like the best time to take an even-footed assessment of Unravel Two and how it builds on the series’ legacy. Thankfully, after about five hours with the puzzle platformer, I can say developer Coldwood Interactive came out swinging with another resounding success for the sophomore project. 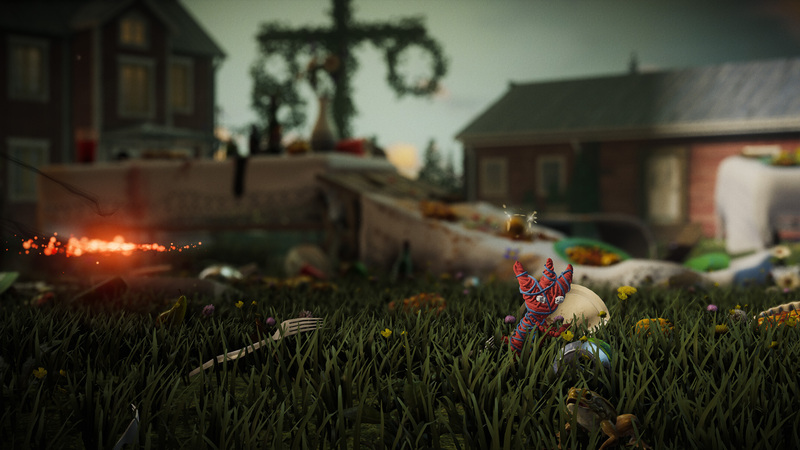 Unravel Two builds on the original positively in every single way, and is a must-play game for fans of the first. Before we can glean anything from the successes of Unravel Two, let’s take a step back two years and look at the original Unravel — a game that I reviewed for DualShockers with occasional biting commentary. In my opinion, Unravel felt like something of two minds — balancing the corporate stuffiness of Electronic Arts and the heart and soul of Coldwood Interactive. While the latter brought the best parts of the game (like a soundtrack I still use for long road trips and hikes in the wood), it also seemed to drag down other parts of the title. Notably, Yarny’s platforming mechanics felt heavy and plodding maneuverability felt deliberate. Almost a way to separate the game from something like a Super Mario or Sonic title that doesn’t carry the emotive impact that Coldwood was aiming for. That became the lynchpin in my (and many other reviewers’) critique of the game, with the slow movement artificially extending the game and making the meat-and-potatoes feel like a chore. Two years later, it is instantly evident that Coldwood Interactive took critics’ diagnosis to heart. 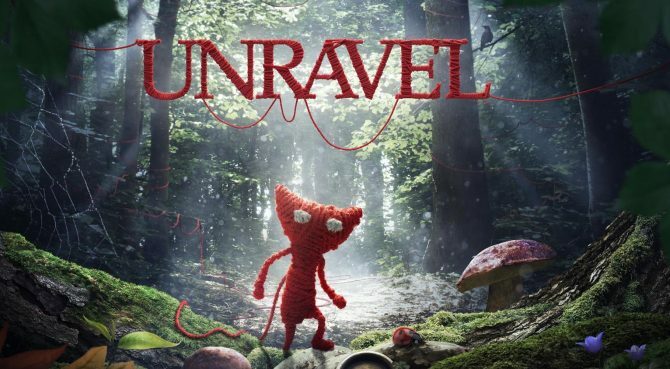 Unravel Two feels entirely different, and all for the better; the physics don’t feel floaty or plodding, Yarny and his blue companion Yarny [Editor’s Note: Blarny? ~LC] are responsive in ways they never were in the previous title. Even better, other new platforming mechanics have been added to the game, specifically a swinging component that just feels fun. The best part? Unravel Two’s more serious and contemplative tone isn’t compromised, despite what I assume was the original intent of the OG physic engine. It’s rare to find such an overwhelming change between sequels, but it is without a doubt the most natural way that the Unravel series levels up. On top of that, Unravel Two‘s two-player cooperative focus fits well within the premise of the game, with Coldwood directing smart level design and mechanics so that the main campaign never feels like single-player purchasers are punished. While playing with a friend in local co-op is still going to be the best way to experience Unravel Two, being able to absorb the other Yarny outside of the more puzzle-oriented sections makes this an easy recommendation to everyone. The quick note, however, is that this benefit only extends to the main campaign. Players will gain access to bonus missions throughout the story, and all of those missions are devilishly tough. I’m sure there is someone out there who can beat them all in single player, but I found even the most basic beginner ones nearly impossible. If 100% trophy or achievement completion is something that matters to you, then make sure you have someone else willing to sit through the game with you. Outside of the revamped gameplay, everything that Coldwood Interactive did right with the original Unravel is still present in spades. The soundtrack is fitting and fits that balance between being artistic and motivational, albeit I am still crossing my fingers for a more directed remixed soundtrack like the original. 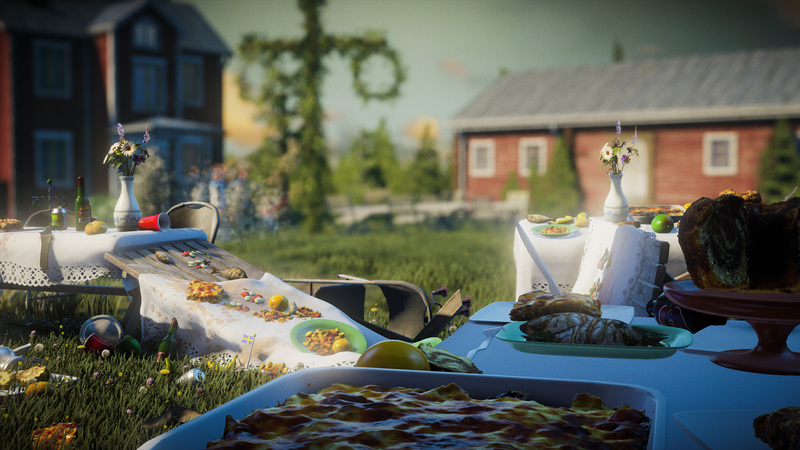 The story is more in the realm of “spiritual successor,” taking a branching path from cottage Yarny of the first game and instead telling a story of friendship — both in gameplay and through the ghost-like narrative of humans that unfolds in the background. The focus on the “power of friendship” isn’t going to blow people’s collective minds like the execution in Journey (or even A Way Out), but it’s obvious that the scenery, visuals, music, and gameplay are taking the front seat as compared to the narrative. There are other small highlights to the game, like the ability to customize your Yarny — with extra visual appearances unlocked with each of those bonus stages mentioned before. That way, you have a form of ownership over the Yarny you play as, along with the motivation to complete those special challenge rooms outside of just trophies. Coldwood keeps up the same strategy of longer levels, so expect to spend about 30-40 minutes each of the seven main levels, with the challenge levels taking you anywhere from 5 minutes to 2 hours. 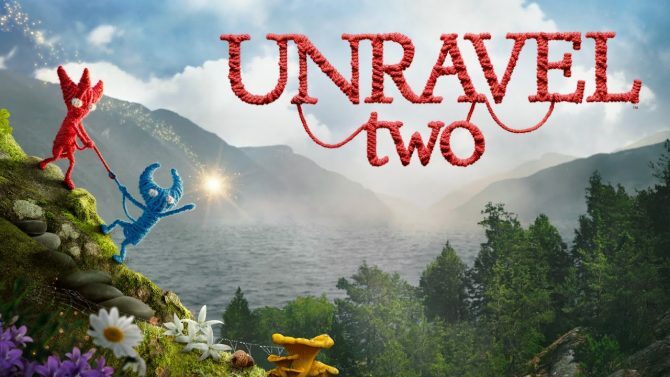 Unravel Two has been revealed at the EA Play press conference, and as you can expect it looks unbelievably cute, it also brings co-op to the table.